Russian Grand Strategy & the Asia Pacific: What Role for Asean? 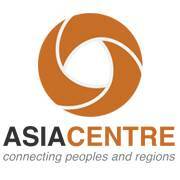 Interesting Round Table Discussion with Asia Centre on Russian-ASEAN relations. JOIN US! As the Asia-Pacific century unfolds, Russia emerges as a global power broker in this multi-polar order. Russia eagerly distances itself from the post-Cold War, unipolar order in which it appeared as a freshman on the world stage that played second fiddle to the United States. Russia’s reassertion of a primary role in world affairs, reminiscent of its long great power past, has been accompanied by imperial fatigue in the United States, the imperious rise of China and of emerging regional powers such as India and Brazil. Whereas its western and southwestern flanks have been the focal points of its activism in world politics, what is Russia’s strategy in the Asia Pacific? What is the place of Southeast Asia in Russian foreign policy? This roundtable explores Moscow’s 21st century grand strategy, in particular its engagement with the Asia-Pacific, and the place of Southeast Asia in its global ambitions. It will examine Russia’s diplomatic, economic and military engagement with the region. Key questions that will be examined are: Is Moscow’s world vision and strategy shared by all domestic constituents? Can Russia move beyond territorial disputes with Japan and nuclear uncertainties in the Korean peninsula to deepen economic and political ties with the wider region beyond the energy sector? What is the purpose and durability of the Shanghai Cooperation Council? What role can Russia play in resolving conflicts in the South China Sea Dispute? What affinities bind Russia and the ASEAN community? Join us for an undoubtedly interesting and stimulating discussion. We welcome donations that will enable us to continue offering quality events such as this roundtable.